A couple of months ago, I shared my new office space in the corner of my living room. I wanted to personalize the area with a meaningful quote to inspire me as I work. I had several ideas, but ultimately decided on "Be Brave." I feel like this speaks to where I am at in life right now. This year, more than ever I have been stepping out of my comfort zone in both my blog life and professional life, which I have shared with you recently. 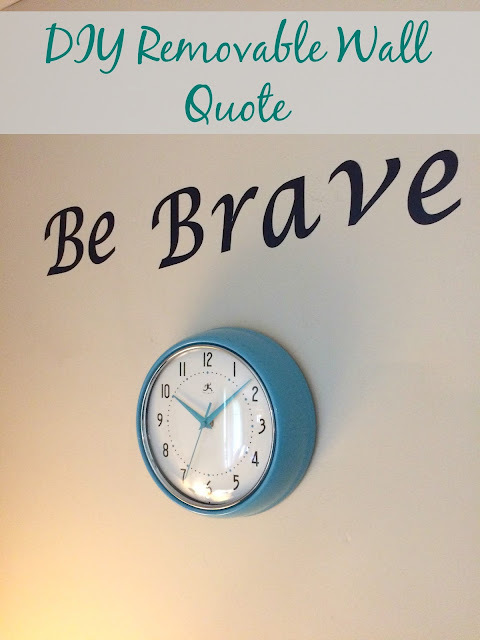 I used my Cricut Explore Air and vinyl to create a removable wall quote. 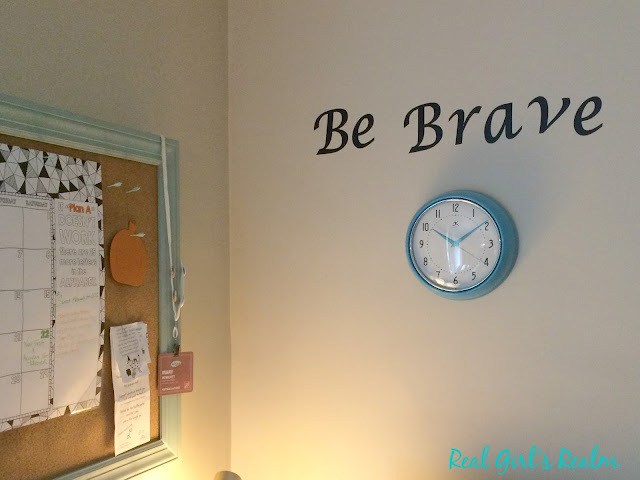 This is great for adding a personal touch to your office, kids room, or even a family room! 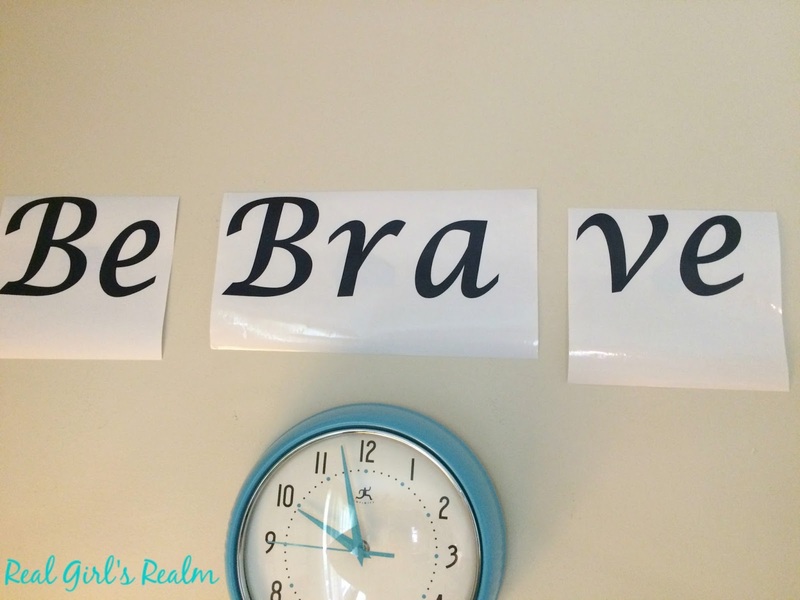 Measure the area on your wall to determine what size your letters need to be. I made mine about 4" tall. Open the Design Space software and start a new project. Select the font you want to use. 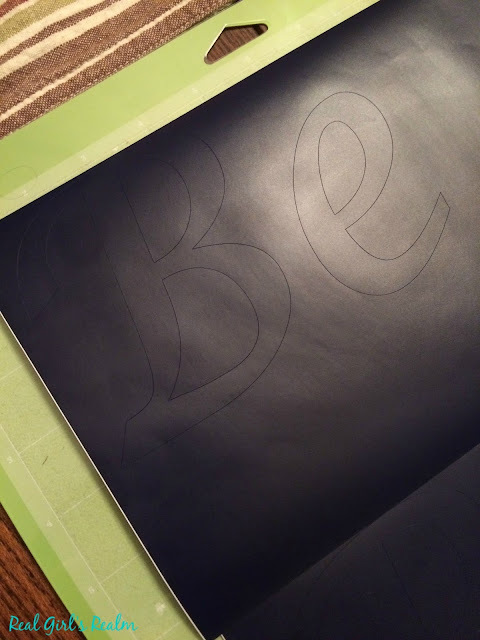 I kept it simple and used Lucida Calligraphy font on Black vinyl. But, there are a ton of fonts to choose from, especially if you have Cricut Access. 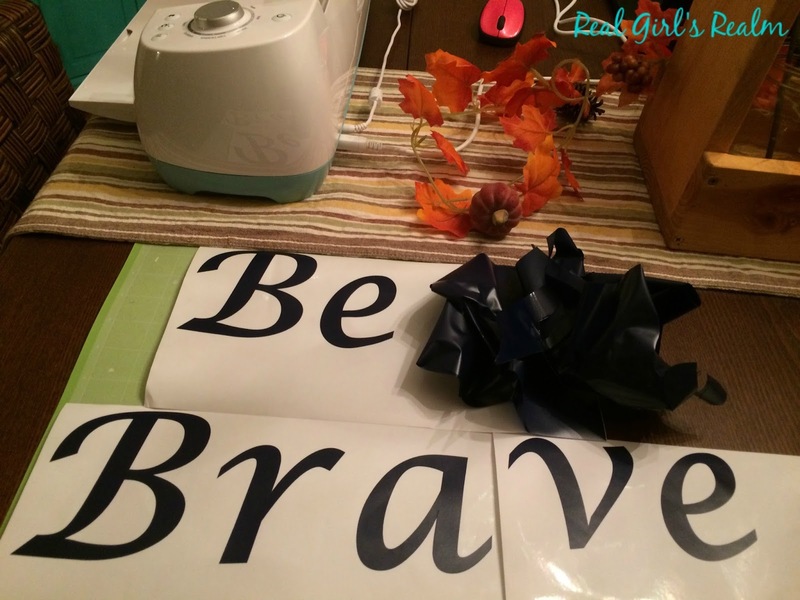 I actually broke up the words so they would fit on the mat, so I had three pieces of vinyl to cut. After the vinyl has been cut, carefully weed the letters from the mat. I applied a piece of painters tape to the wall where I was applying the letters to act as a guide. If the letters are crooked or not spaced correctly, you can just remove and re-position. I love how it turned out! What quote would you put above your desk? I made a vinyl tree in the kids' playroom, and I liked how easy it was to do! I bet that is so neat! You will have to tell me how you did a large cutout. Thank you! Oh you could put a Bible verse in your bedroom or bathroom!